What is Shopify Custom Fields? 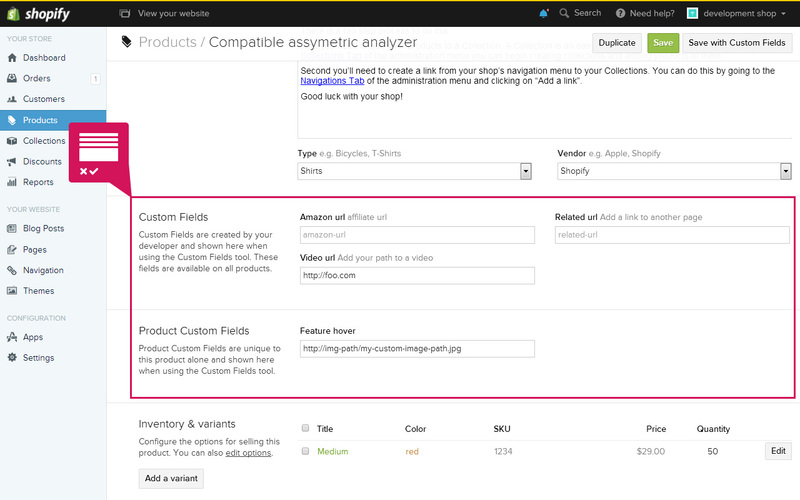 In short, it's a tool to add Custom Fields to the Shopify Admin. Since my other Shopify Admin tools are proving to be to super handy I sensed that merchants could do with a smaller version for just editing metafields. The tool does need some setup so there's a quick Custom Field setup guide here to get you (or your developer) started. 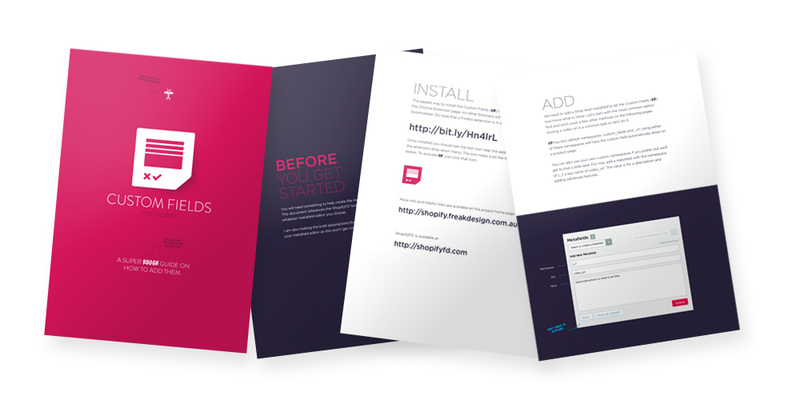 Sure you're not looking for ShopifyFD instead? Developers, designers or merchants looking for more advanced controls or features (for more than just metafields) should stick with ShopifyFD. It's a far more powerful and useful extension. Custom Fields for Shopify is "honor-ware", which means that we trust each other to be nice. As the developer of it, I'm committed to keep the tool something that's actually useful. By releasing new features and correcting possible bugs on a constant basis I can do just that, but I need your support. If you use it and intend to keep it, please sponsor its development by making a small contribution. To install, either add the extension to your browser using the link below, or drag the shopifyFD bookmarklet to your bookmark bar. Important starting note: This tool relies heavily on the Admin HTML. Any changes made by Shopify could break this tool (until a fix is posted on my end) so have clear expectations before you start using this. To get some sense of how long this tool has been around check out the outdate screen below of what the Admin once looked like. The current version now has over 6000+ active weekly users and will remain a continued work in progress. For a running commentary on the features and updates be sure to follow this thread on the Shopify forums. You may want to follow the public development on GitHub (which is also the place to leave bug reports), or follow me on twitter. I had once created custom versions of these tools but the focus is now on supporting these ones. You can try convincing me otherwise with the allure of a burger and beer but the ongoing support for these isn't viable for everyone. Many stores do have unique versions in production use that make using the Shopify Admin easier. Trouble getting the bookmarklet to run? Try the version hosted on the Shopify CDN. It may not be as up to date, but there's a greater chance that it won't be blocked in the admin.